Google Analytics doesn’t have to be so overwhelming. Yes, there’s always more to learn. But these are the basic elements. We’ve been talking analytics and we’ve been talking conversions and things like that. for the most of this past month. Today I want to talk to you just a little bit further about things we can do on our website that will make a difference when it comes to that conversion rate. Here how it works, very simply. We have a good site structure you got your Home page. You have got your main content pages, and perhaps some product pages, and then your blog and of course you’re administration pages. That’s the structure of a good basic website. Let’s just clarify each of those first. Your home page. Its job is to help the website visitors to find where their need to be unless you just got one product, one service, one nothing that all goes on the home page. But most of us running a business don’t. We have multiply strings of income. The home page’s job is to simply direct people and help them get to where they want to be, as what? Quickly as possible. Now, this is important not just from a conversion point of view, but also from a user/management management point of view. That user experience. Customers often search for something or see something and then, when they click through, they want to be able to get to it as quickly as possible. That’s the job of your home page. Then there are the other 80%. Those who are still going through the buying cycle or going, “Hmm, I want one of those, but not quite sure what aspect, what option? How does it all work? Tell me more.” That’s the 80%. They’re the majority of customers that most businesses, for some unknown reason, don’t target. It’s a coffee machine. So I go into the store and I talk to the salesperson. Now look, “So, here’s half a dozen different coffee machines. What are really the differences between that one, that one and that one?” I’m in the investigation stage of the buying cycle. I want to buy a coffee machine but I just don’t know, yet, what options are best for me. Then I enter into the second phase of the buying cycle. I know what I want now. I just have to decide who to buy it from. If you look at your website in the same vein. And go, “All right we’ve got our homepage” Its goal is to help people get to where they want to, quickly. Two types of customers, those who know what they want, they’ve gone through the buying cycle. Let’s send them straight to the shop, let’s send them to the product. But then they are those who still don’t know. What are the options, what are the choices, what are the variations? That’s what our content pages are for. Home page, content pages. And those content pages explain what the options are. Explain what the choices are. They build trust, they build authority and they position you as an expert in what you do. That’s important for conversions. Then where do those pages take them? Well, they take the customer then, straight to the product. Why? Because two different types of customers. Those who know what they want, ready to go, straight to the product. Those who don’t, still want to look at the options. Now most customers, I should say, most businesses fail online because they only deal with that latter 20%. But I want you to start putting in a second step for the other 80% of people into the investigation stage. Your primary content pages and the blog for your inbound marketing and content management. That’s what the blog is for. Let me just recap and now apply how this work with Google Analytics. I said in the last video you need to look at where your traffic is coming from. Yes. Then you need to look at what it is doing on your page. Here is the problem most of us face. We get traffic, we get traffic, we get traffic. We spent too much freaking time on getting traffic. Then they come and then they look and then they go again, and we get upset. So we go and buy more traffic, trying to look for a better quality. Chances are the traffic we are attracting is for the 80% percent or at least that much of it. Those who are still wanting to know more about the product and services. So what you need to do on your website is answer those questions. Does that make sense? 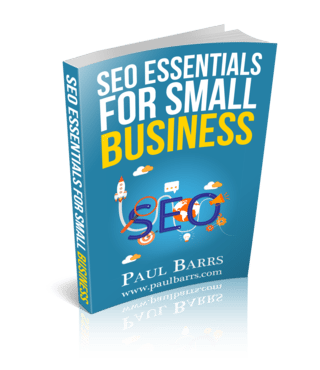 That what your primary content pages are, which are great for SEO, great for social media, great for customers, and also then in conjunction with your blog. So a good goal in Google Analytics is time on site. Having a look to see how much time people are spending on your site, reading and looking at your material. A well structured website will have good readership. What you should also be doing, another goal, URL destination, is trying to build a list. An email marketing list. You can use it for direct email marketing or you can use it for re-marketing, through something like Facebook. For all those people who come, who aren’t quite ready to purchase just yet, simply means you haven’t sold them on the right information. You haven’t answered enough of their questions. So give them the opportunity to get more information by downloading your information report. Your white paper, whatever it might be. Name and email address, and then follow them up. So they subscribe and the goal on the back end, is the “Thank you very much”. The URL destination goal. Of course then you need to Market them up. Which leads us to, where does the traffic come from? So you can track that traffic back to your website using Google Analytics and UTM tracking codes, setting up campaigns for email marketing that list and so on. Now look, this is a full-day workshop that I do on Google Analytics. I’m not expecting you to grasp the whole thing just here. But these are the basics that I think each business owner should know and understand. Lastly let’s just talk quickly about content experiments. Now, content experiment is that. It’s an experiment with two different types of content. So for example, we might have one of our primary content conversion pages. You’re going to run this page, page A up against page B. They are identical pages, except for maybe a few different elements. Maybe different images and a different headline. You don’t want to make too much of a change. It has a goal, its goal, it’s got have a goal. It’s goal at the bottom would be for a “subscription” or “click through to product”. It’s got have a goal, it could even be “purchase product”. Here is the information, here is the product stats, purchase product. It’s what you need to know about this type of product, and then what you need to know about this product. But it must have a goal. 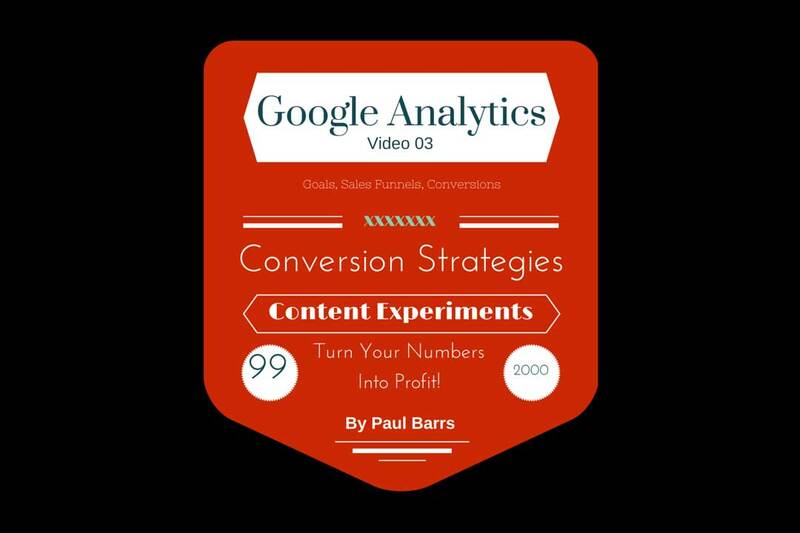 And then you can run what’s called a content experiment through Analytics. Here how that works. You add some code to the top of these pages. Analytics will then serve page A or page B. Page A or page B, page A or page B to different customers, track the conversion at the bottom. And give you a report on which one is converting better. Now this is gold. This is absolute gold if you want to get serious about making your content work for you. It is, I believe, the area that lets most people down. We focus too much on getting traffic. Getting traffic. We focus too much on social media. Yay, racka, racka, racka. Yes. Look, it’s important but its whole goal is to get them to our website, to get them to what? To buy. So we have to both inform and sell. This is the new world of internet marketing. Inform and sell. Don’t just sell, which is what most people are doing, and you can use Google Analytics to track and measure all of this. If you want to get serious about your business, if you really want to get in there and increase your conversions. I can promise you now, it is so much easier to double your business growth by increasing your conversion rate, than it is increasing buyer traffic. Always different types of traffic, buyer traffic, reader traffic, browser traffic, waste-of-time traffic, spam traffic. You’ve got to get either buyer traffic, or just increase your conversions and you can also get a good piece of the other 80% that you’re probably, currently, missing out on. All right. That’s food for thought for this week. You have a great week and I will talk to you again soon. Bye-bye.